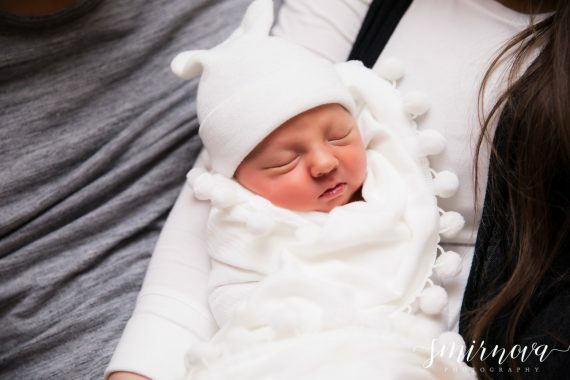 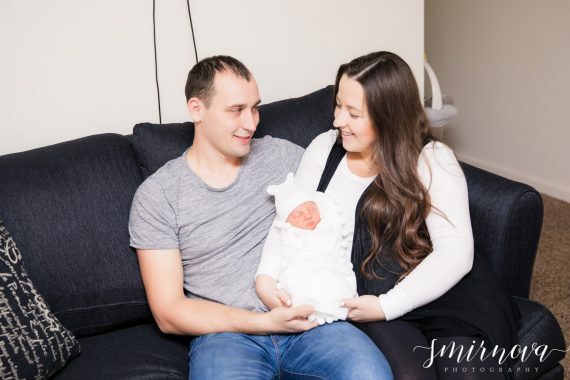 Baby Liam was born just a few weeks early because he couldn’t wait to meet his mom and dad. 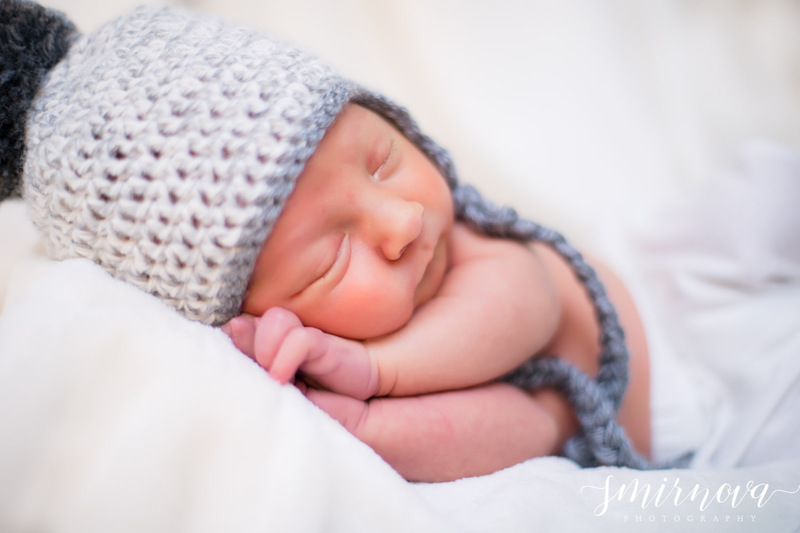 Because of this though, he was home just in time for me to do a session for him. 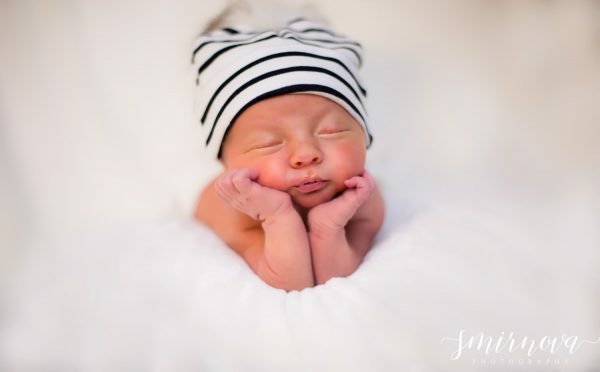 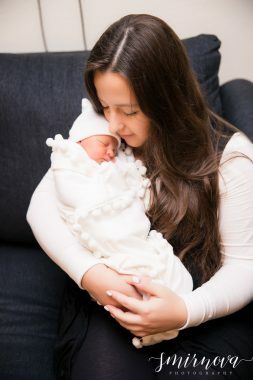 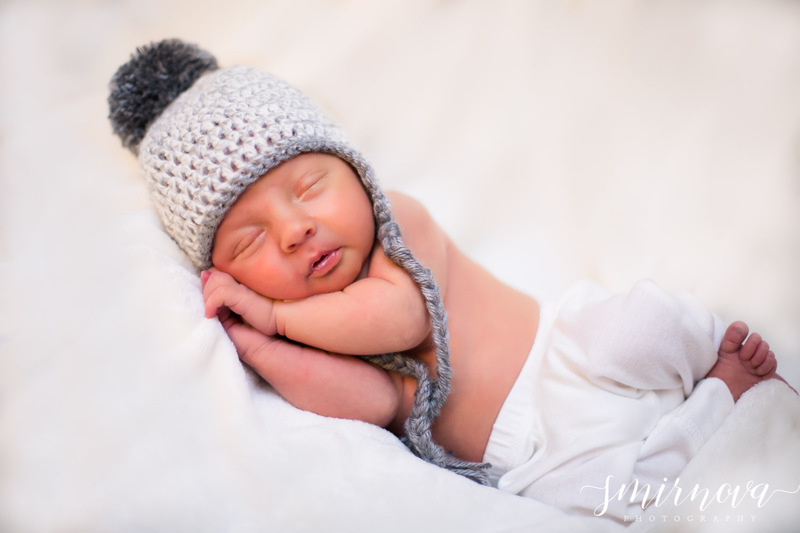 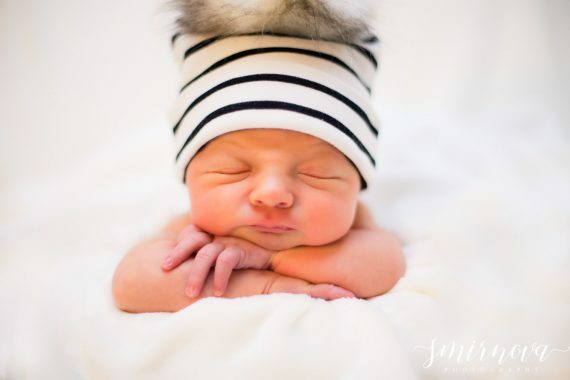 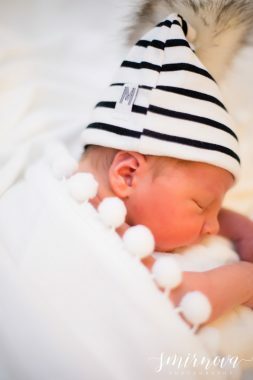 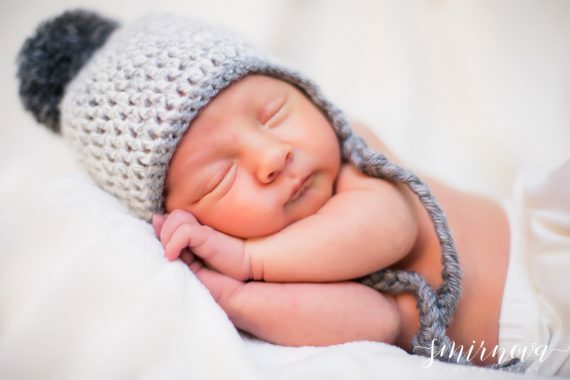 He was sleeping like a little angel throughout the session so luckily we got some great photos. 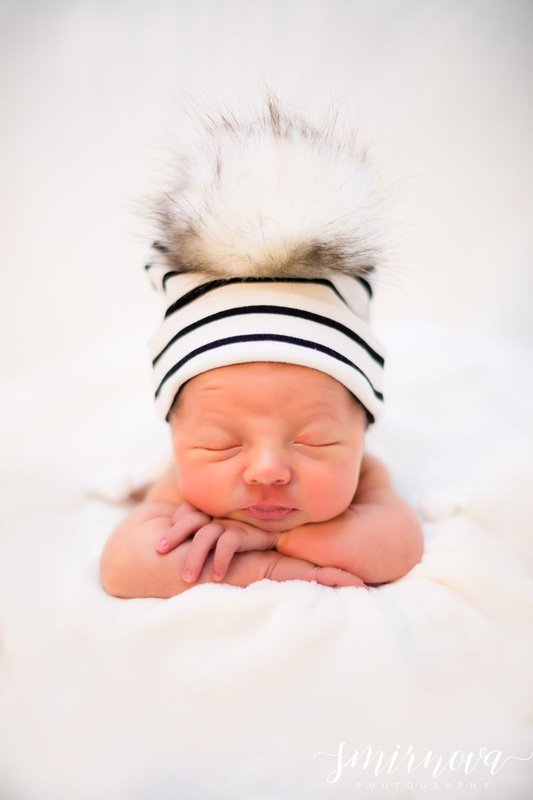 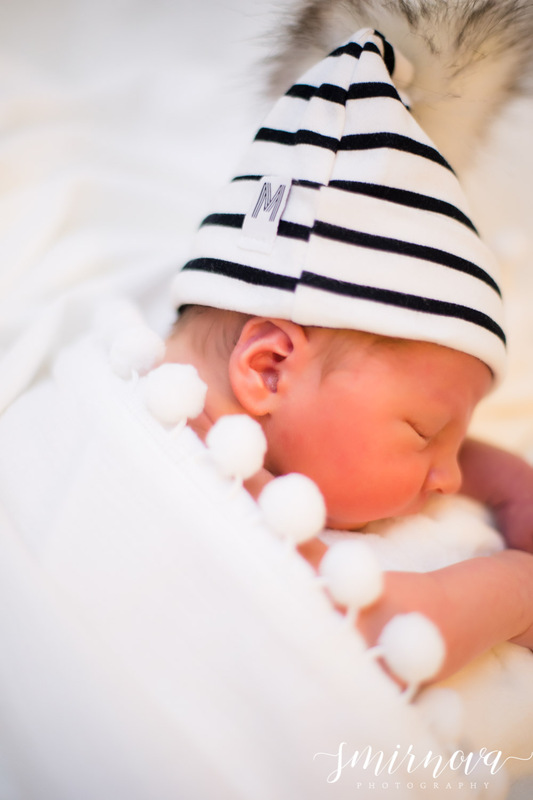 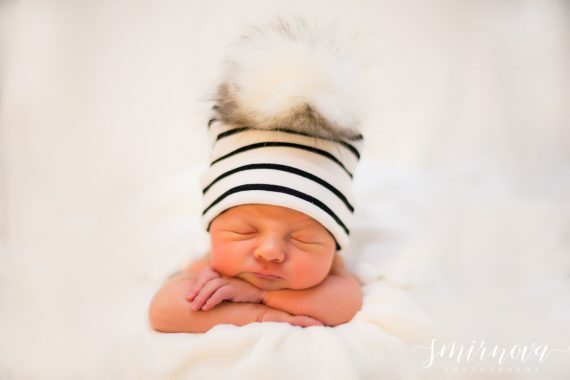 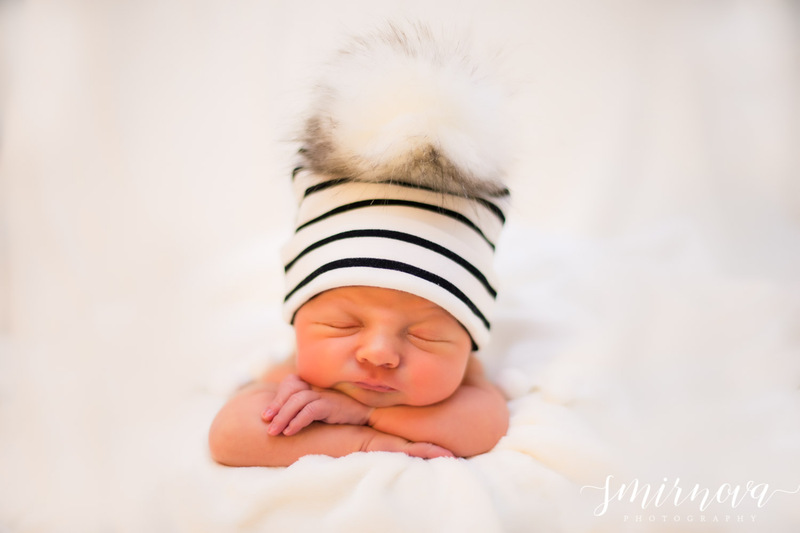 For a winter baby, his little pouf hat matches perfectly. 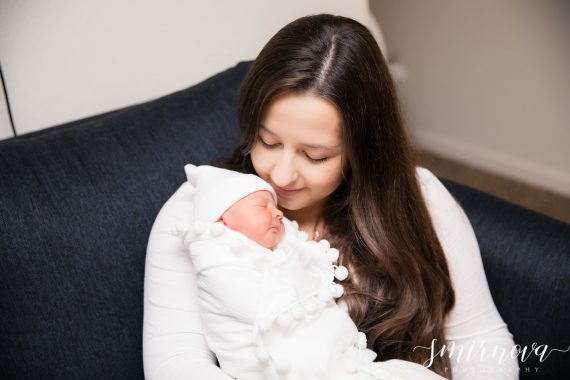 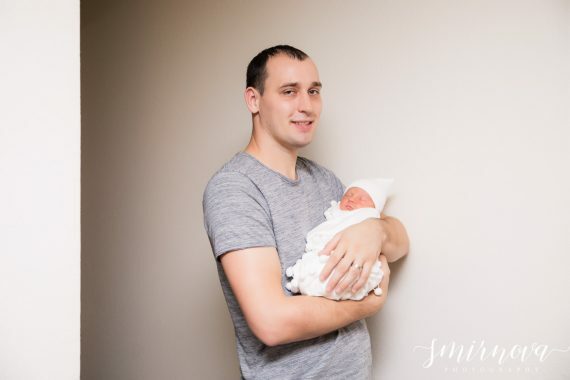 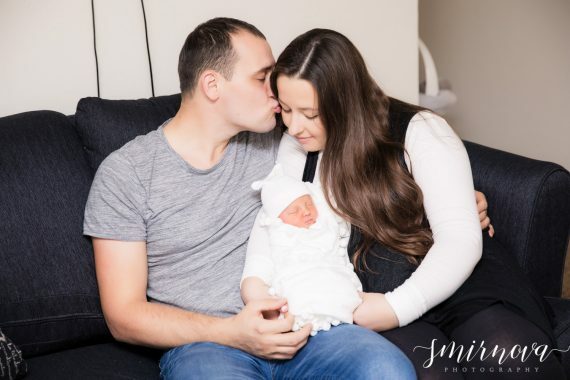 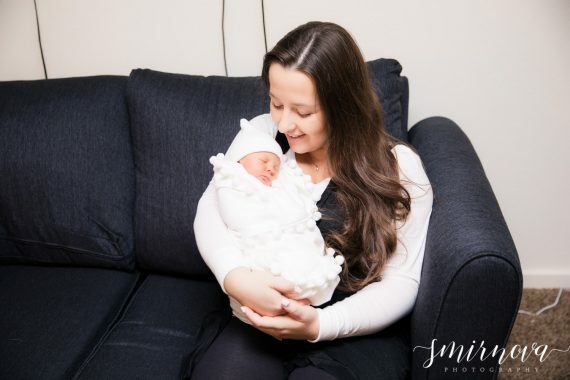 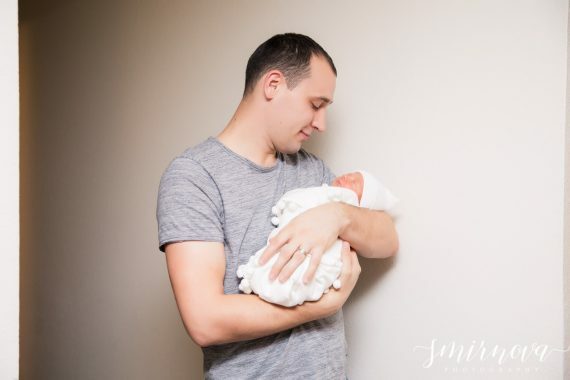 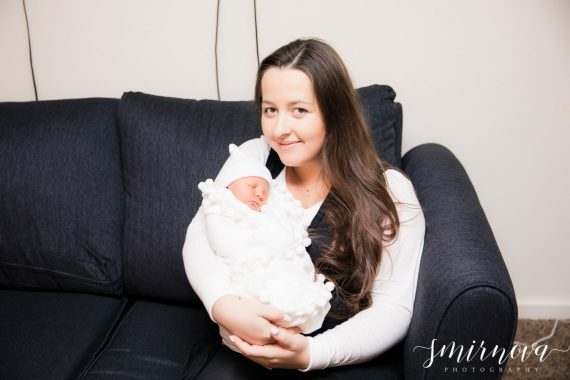 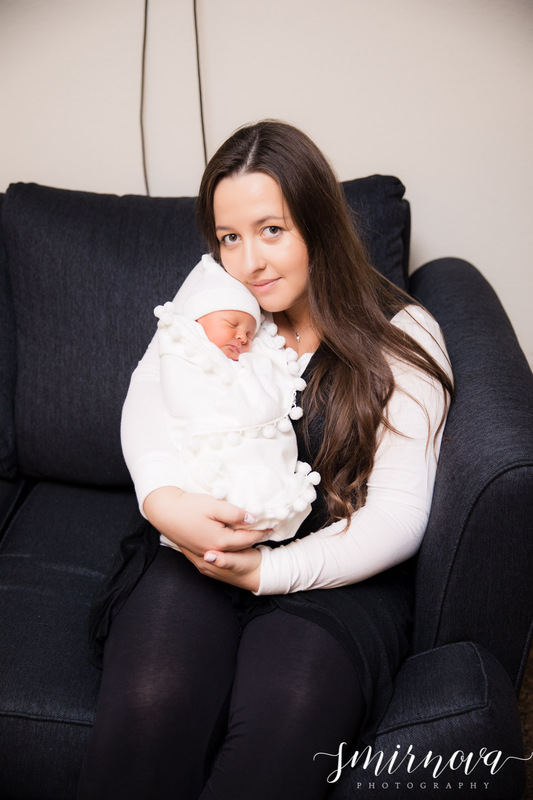 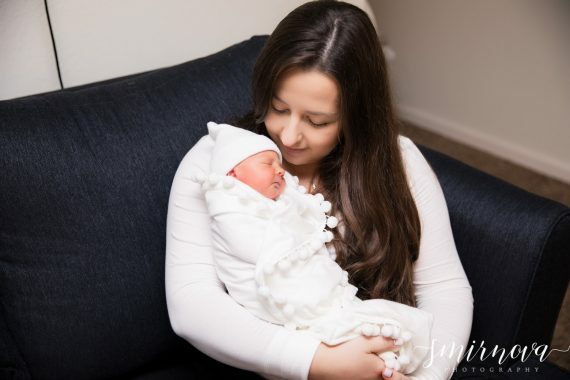 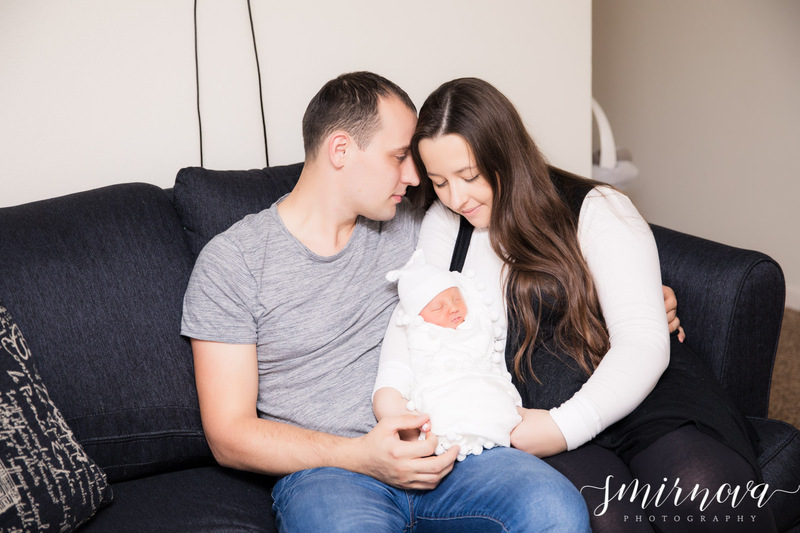 Liam’s family wanted a simple at home session and they’re very happy with the way it turned out!